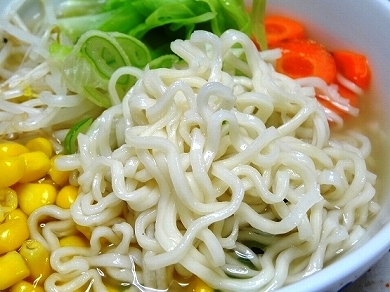 Organic noodles: organic heirloom wheat flour, sea salt. 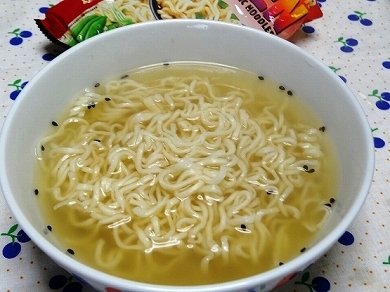 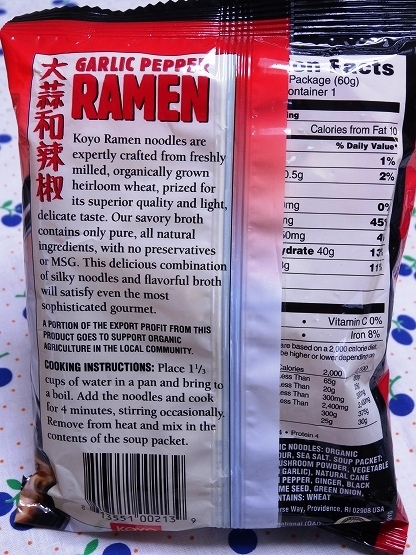 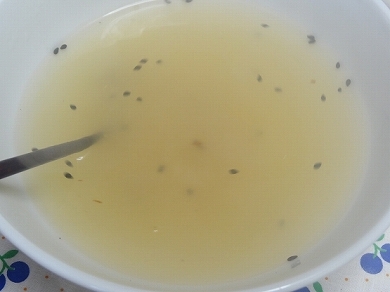 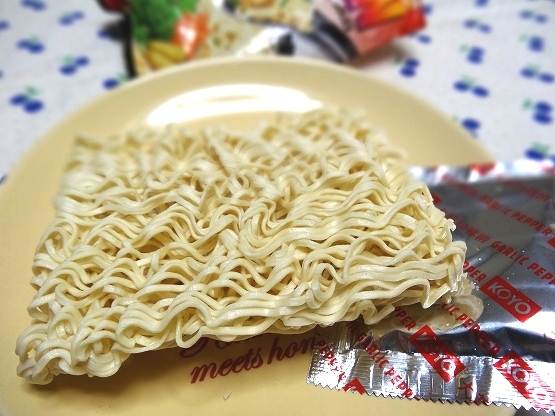 Soup packet: Natural sea salt, Chinese mushroom powder. 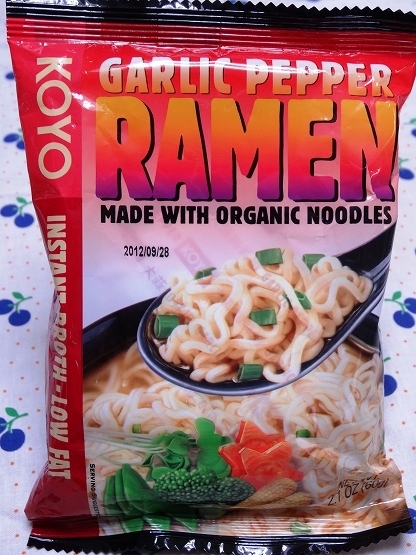 Vegetable powders (onion and garlic), organic sugar, garlic, chili pepper, ginger, black pepper, black sesame seed, green onion. 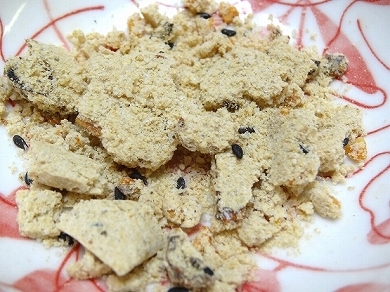 Kombu powder. 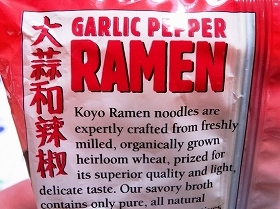 Contains wheat. 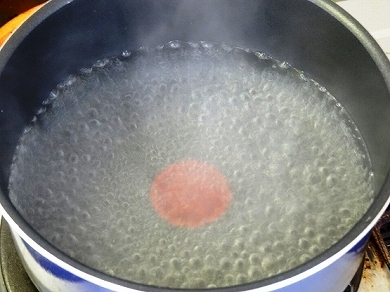 Cooking instructions: Place 1 1/3 cups of water in a pan and bring to a boil. 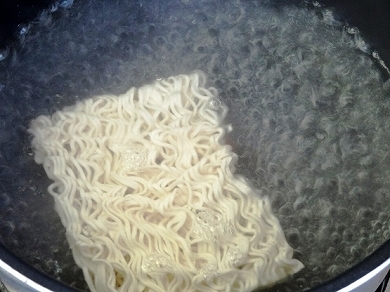 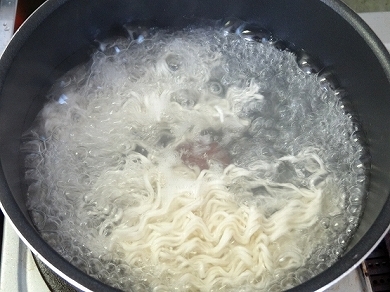 Add the noodles and cook for 4 minutes, stirring occasionally. 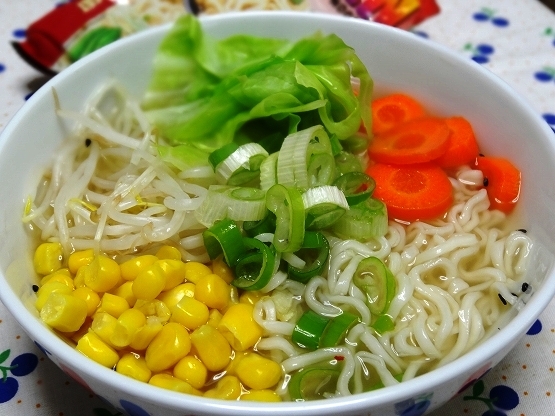 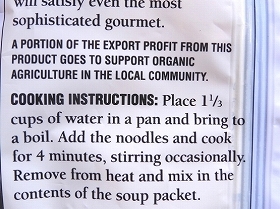 Remove from heat and mix in the contents of the soup packet.